Home » Science/Tech » Wirefly unboxes HTC Thunderbolt! Wirefly has released a 7 min you-tube video on how to un-box HTC Thunderbolt. The rumored release of HTC thunderbolt this valentine remained a rumor. Lol! For those who are seriously waiting for the HTC Thunderbolt released date, you may face further disappointment as Wirefly remains silent on the release date. 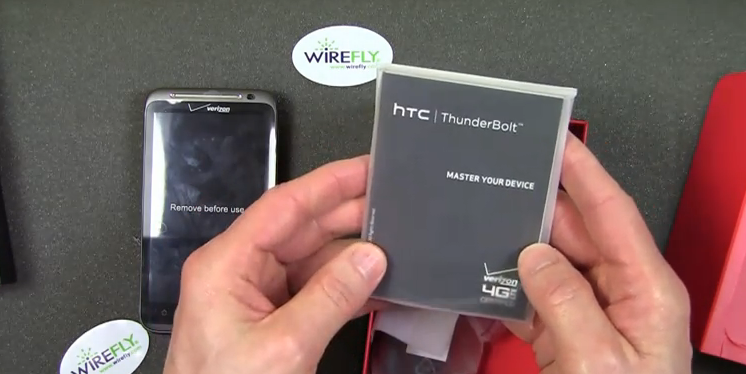 However, Wirefly’s recent you-tube release of HTC Thunderbolt unboxing has raised a buzz all around the web. I have uploaded the wirefly descriptive video below. Previous: Jobs Available, Unemployed Need Not Apply!? Next: Google Docs added with 12 new formats!